Imagine yourself in pre-Civil War New Orleans; walking down the street you have the sudden urge to wet your whistle. You come upon the Sazerac Coffee House. Similar to its use in Amsterdam today, coffee house was a kind euphemism, except in the mid-1800s the drug of note was alcohol. Once inside you belly up to the 125 foot long bar and one of the dozen or so bartenders would have gladly made you a Sazerac cocktail. A bold cocktail, not for the faint of heart; the intense flavor rivaled only by the difficulty in making it. The bar’s owner’s, Antoine Amédée Paychaud, had started his life in the Big Easy in the late 1700s as an apothecary, after migrating from the West Indies. 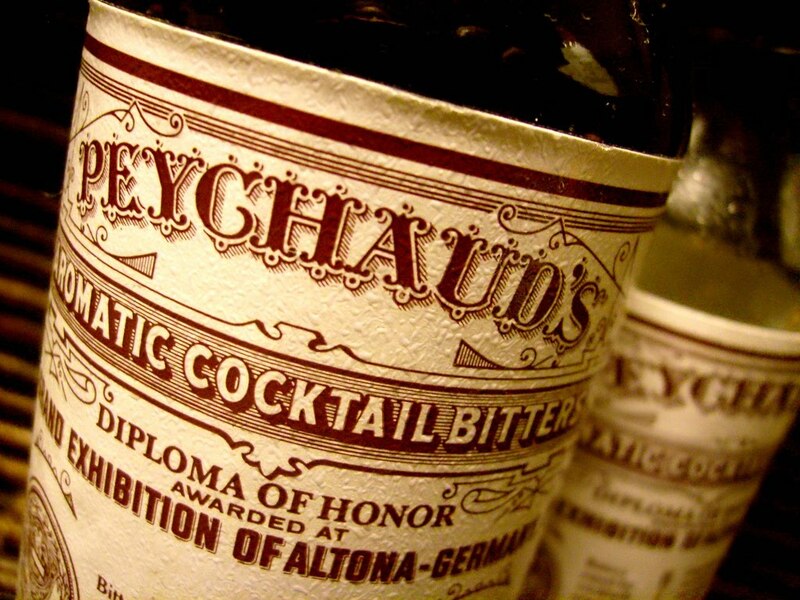 In the 1830s, Pharmacie Peychaud’s proprietary cure all, Peychaud’s Bitters, quickly became a very popular ingredient to his late-night patrons. The Sazerac was initially made with an imported cognac named Sazerac de Forge et Fils, hence the name, but overtime the cognac was replaced by locally produced rye whiskey. 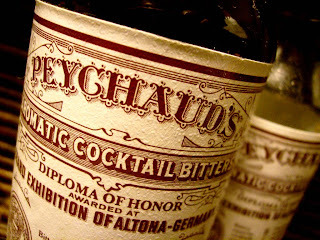 Also of note is Peychaud served the drink in egg cups known to the French as coquetiers, it is believed that the word cocktail derived from the inability of most Americans to pronounce this word properly. Recognizing that he was onto something, Peychaud opened his “Coffee House” in 1852. If you want to truly impress your friends while introducing them to a true piece of American history all while getting them highly inebriated, read these instructions carefully, this will quickly become your go-to cocktail for the fall. Start with two old fashioned glasses for each cocktail you wish to make. Pack one full of crushed ice and let it sit. Take the other glass and add ¼ ounce of simple syrup, three dashes of Peychaud’s bitters, and two ounces of rye whiskey. Many recipes call for only 1 ½ ounces, but my good friend David Embury suggests 2 to 2 ½ ounces, and I like his style. I have been using High West’s Rendezvous Rye with favorable results. Next add ice to the glass containing the mixture and stir to chill. Going back to the first glass, empty the crushed ice and add ¼ ounce or so of absinthe and swirl around, coating the glass with the green fairy and dispose of the rest. Strain the contents of the second, whiskey filled, glass into the absinthe glass and garnish with a twist of lemon. Embury suggests serving the cocktail with an ice water chaser, but I say drink it strait. Place the first three ingredients in an empty old fashioned glass, add ice and stir to chill. Pour the absinthe into a second, chilled old fashioned glass, turn to coat the glass, and pour off the excess. Strain the whiskey mixture into the absinthe-coated glass and garnish with a lemon twist.